It has been said that everyone has a book in them and if you are very creative, even more! What does it take however to write a book or to think of even tackling such an endeavor? When I was 10 years old we had a 1912 Remington typewriter in our home; no one was using it and it just sat there until I slipped in a piece of paper and out of my mind came letters, then words, then sentences. I was hooked. I began writing poems, song lyrics, funny fake news stories before fake news became fake news, then finally short stories. When I was about 16 I told everybody, anybody who would listen, that one day I would write a book. 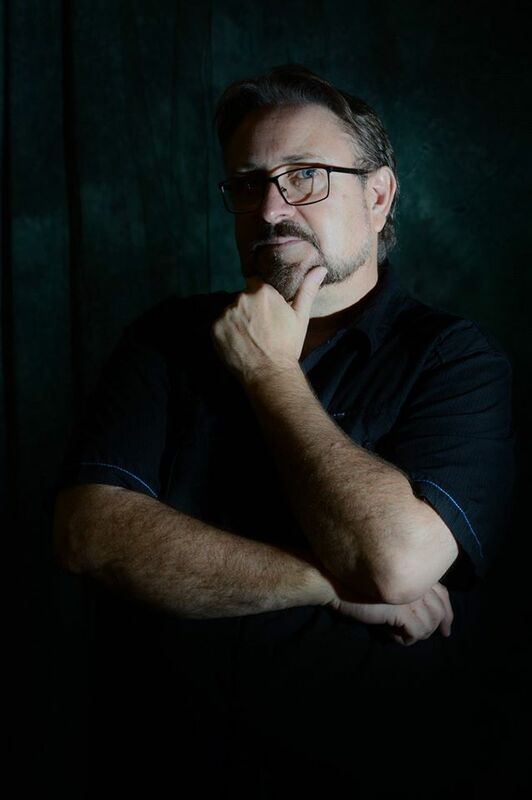 At age 54, I finally accomplished that goal and at 55, book two came along. I am currently writing the third of the Halley's Casino Trilogy at age 56. Why so long you ask? I had to ask myself and perhaps you are asking yourselves right now; who am I writing for and why? Is it for riches, fame and fortune? You see. as a younger man that was my main goal, fame and fortune. But then life has a way of kicking you in the pants as one grows older, more mature and maybe wiser, if you let it. I began to write for ME. No selfish motives, no riches, no fame, or no fortune. Look, if you are going to go for it, you have to do it all on your own. It's takes determination, discipline, honesty, and a very good idea doesn't hurt either. There are those who can pump, and who have pumped out books like raindrops, best sellers in fact. Who doesn't want one of those? I guess the point I am driving at is, if your book is good enough time will compensate. If your book does not sell or become a best seller take pride in that you wrote a BOOK! How many people can say that? Now, once you have written your book what then? How do I find a publisher or an agent? This can become just as bad as wanting riches, fame and fortune. I recommend going the self publishing route. Some will say that you're not a real author if you self publish; well that is a load of bullocks! In this day and age anything is possible. Just because you have self published does not mean you cannot continue looking to get your work picked up by a proper publisher. But be very careful on what self publisher you may want to go with. There are many that will soak all the money they can out of you. Its actually crazy. One firm wanted to charge me as much as 18 thousand dollars to publish, all the bells and whistles package they said. They kept on phoning me, trying to push me until finally. "I SAID NO THE FIRST TIME AND ITS STILL NO." And by that time, I had already chosen a firm that suited my needs. Ingram Spark. I highly recommend them (wonder if they will give me a discount on my next book for mentioning them? :-) Though there are many other credible firms about. DO YOUR HOME WORK and choose the best for YOU. Look for contests to enter and get your work out there for all to see. I entered my first novel this past year at www.worldbeststory.com and out of thousands of worldwide entries Halley's Casino place 3rd! The top 3 winners were broadcast live on Facebook, Twitter and Instagram. It was one of the coolest, nail biting, edge of my seat, rocking events I have ever been part of. YOU can have that too. 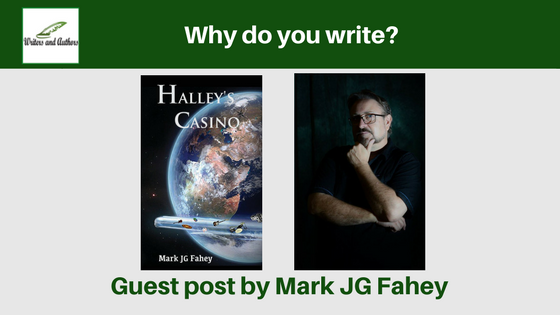 Both my books, Halley's Casino and Marine - Halley's Casino II are available worldwide, the joy when I first Goggled the title and POW it was everywhere. Now the goal is to have sales, marketing is another whole deal. Oh and of course, in order to have sales, readers have to like what you have written so they can write a review and get others interested. 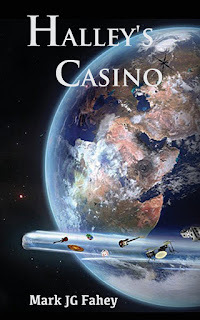 Halley's Casino is a fun, witty, science fiction, comedy, drama, satirical, time travel adventure much in the vein of the Hitch Hikers Guide to the Galaxy. Some of the book’s reviewers have noted this and I am very honoured. It is so rewarding when readers get your work. Star Trek and Rock ‘n Roll play a huge part as well (spoilers). Rush fans anyone? As of today, I am neither wealthy nor famous. I am ok with that. I write for ME as I hope you will write for YOU. Let the chips fall as they may and perhaps you will spend a chip or two on Halley's Casino. Hop aboard, we are waiting for you!